The ultimate reference for aspiring and established natural history photographers. Digital photography has quickly become the norm for all photographers. For those shooting wildlife in particular, it has opened new realms of expression and technique. This comprehensive and easy-to-use guide is suitable for photographers of all levels of experience and covers all aspects of using digital equipment for wildlife photography. Wildlife photographer David Tipling explains how digital equipment has changed the art of photography and shows how photographers can adapt their craft to exploit this new technology. He guides the reader carefully through every aspect of digital wildlife photography, referencing his own stunning photographs with technical notes and detailed captions. Concise instructions are provided for cameras and lenses, field craft, locations, composition, post-processing, image manipulation, publication and more. The business of wildlife photography. 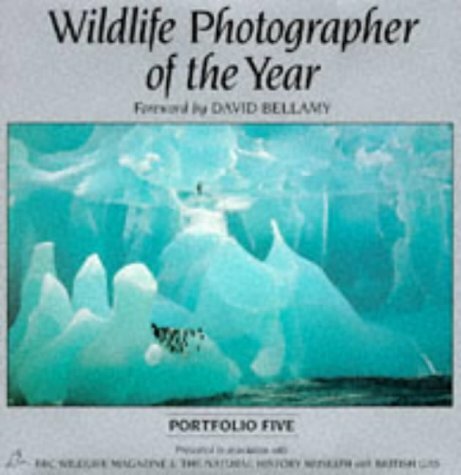 The author addresses those challenges unique to wildlife photography and offers solutions and advice based on years of field experience using both conventional and digital equipment. Read this one before your next safari! 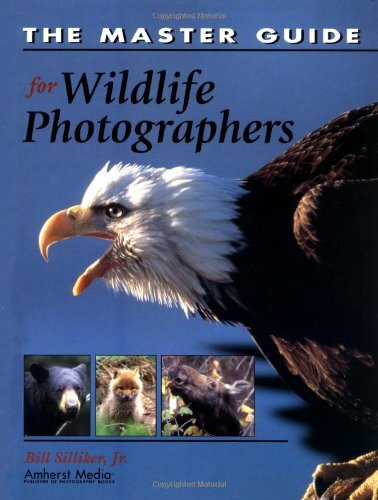 This book is an excellent book for amateur wildlife photographers. 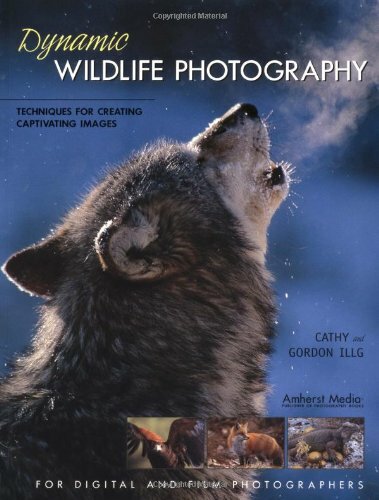 Compared to other wildlife photogrpahy books I felt this was ideal for beginners. It wasn't overly complex and I completed the book with a several clear, concise takeaways. Silliker maybe a good photographer, but he also is quite conceated (full of his own importance).The text often rambles to conclude a very basic comment.Some of the moose and white tail deer information is interested on a biological perspective. In short - he provides a few good points, but most of the information in this book is very basic. I own about 30 Photography books,and this one by Bill Silliker is in the Top Five...Closer to one then five. The late Bill Silliker, who wrote this book, was famous for his pictures of moose and loons.In fact he loved to be called the Mooseman.The Mooseman?s last book is an introduction to wildlife photography, aimed primarily at the beginning and intermediate photographer, although there are a few discussions that may cause the advanced wildlife photographer to reconsider his techniques. 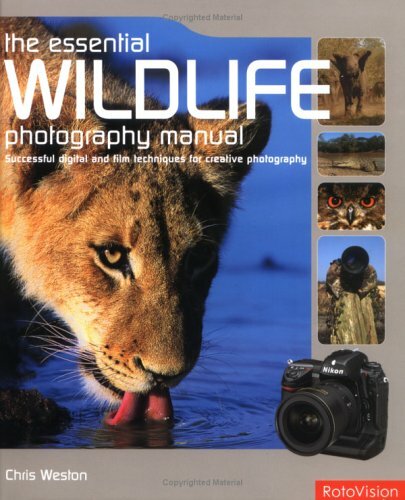 The book, written in simple, direct, clear style, describes the fundamentals to be applied to get good wildlife pictures.After the required discussion of equipment (Silliker prefers 35mm single-lens reflex cameras, long telephotos, autofocus and sturdy tripods), he spends a quarter of the book discussing metering and focussing techniques for wildlife in clear, comprehensive language.The length of this discussion surprised me, but it is all relevant.He then goes on to consider how to get close enough to animals to get pictures with impact, and composition.I was delighted by his no-nonsense approach.Stories about his own exploits are told only when essential to make a point.There is no excess verbiage here. My only complaint about the book is that I wanted a little more. (Having read the author?s magazine columns, I know that he was a thoughtful photographer. )For example, he believes that the limited depth of field of telephoto lenses is something that a photographer has to live with and he suggests ways to compensate for the fact.I would have liked to hear some further discussion of the role that faster ISO media can play in getting greater depth of field, or the fact that for a particular image size and aperture depth of field will always be the same, regardless of lens length.But, of course, that would have been a different book. Silliker also does not dwell upon the use of digital imagery, although he acknowledges it and suggests several other books for the reader who wants to pursue that direction. Anyone with a passion for wildlife and wild places will find beautiful inspiration in this comprehensive, thoroughly illustrated guide. Aimed primarily at the keen amateur or semi-pro, Success with Wildlife Photography reveals the secrets that have worked so well for Steve and Ann Toon in their decade as professionals. It provides expert advice on cameras, accessories (such as zoom lenses and filters), and other necessary equipment, as well as all the techniques needed to get that fantastic shot—whether in a lakeside hide or on a jeep-safari chase. An invaluable section on the digital darkroom explains essential workflow and post-processing issues, and how to output your images. I bought this book because I dream of becoming a wildlife photographer at some point, but I had nothing more than a simple compact camera. I knew nothing of Depth of Feild, F-stop, Shutter Speed, ISO, exc, whatsoever. Now, though I am only half way through this book, I know clearly what all of them are. I have a camera now (a Ricoh KR-10; yes, I know its old, but its a great camera), and I love the fact that they incorporate film photography into this book. Another great featture of this book is it has a very simple glossary in the back that tells what everything is. I may forget what exactly ISO is, then flip to the glossary to remind myself, and continue reading. Wildlife photography is just different enough from other photography genres that it would probably pay for even an experienced image maker to learn something about it before setting forth to the field for the first time.Steve and Ann Toon aim to help you. 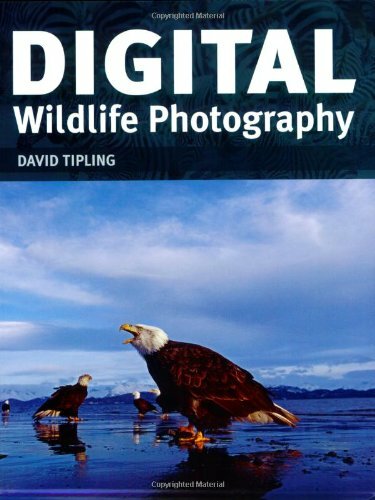 The chapters of the book include a description of appropriate equipment, a discussion of techniques for wildlife photography, tips on composition including a chapter on photography in the field (which seems an extension of the composition chapter), digital post-processing and selling your images. Not surprisingly, the authors like digital SLRs, tripods, a variety of lenses of different lengths (especially telephotos) and so forth.Experienced photographers may find this information unnecessary, but I suspect there are photographers out there who don't realize that a compact camera won't do the trick for wildlife photography.The author's don't spend much time explaining exposure so if you don't understand the relationship between aperture, shutter speed and ISO, you won't learn it here.On the other hand they do explain what makes wildlife exposures different from other exposures. The chapters on composition and photography in the field are quite excellent for the new wildlife photographer who may not quite have thought out what he or she wants to get in the frame. I am always skeptical when a genre book tries to explain post processing, since whole books have been written about the subject and only scratched the surface.The authors do a competent job of explaining how a few Photoshop tools have special application to wildlife photography, but they don't try to be comprehensive.However, one of the appendices on further reading provides recommendations for a few more specialized books that I have found to be the cream of the crop.The marketing chapter is a broad overview, but I know at least one inexperienced photographer who thought the world would come knocking at his door based upon a few good shots and who would have benefited from reading this chapter. All-in-all, this is a good book for someone just about to get into wildlife photography.Those with experience will find little new here, but a look at the authors' pictures might provide at least one composition that can be pressed into service. Photographer and environmentalist Uwe Skrzypczak wrote this book with several goals in mind--to teach the technical aspects and the workflow of digital wildlife photography; to show the beauty of East Africa and his beloved Serengeti National Park and to educate about its habitat; and to provide a guide for the photographer who is planning to go on an African photo safari and wants to be prepared to capture the finest possible images. Beginning with digital photography techniques and workflow, Skrzypczak draws his own vast experience in wildlife photography to teach about the equipment, the pros and cons of camera types and lenses, and the specific requirements for this demanding task. Also covered are appropriate techniques for exposure for this demanding task. Also covered are appropriate techniques for exposure and autofocus-the latter being one of the major challenges in wildlife photography. He discusses an "on the road" workflow, the logistics of transporting your gear, and image editing. 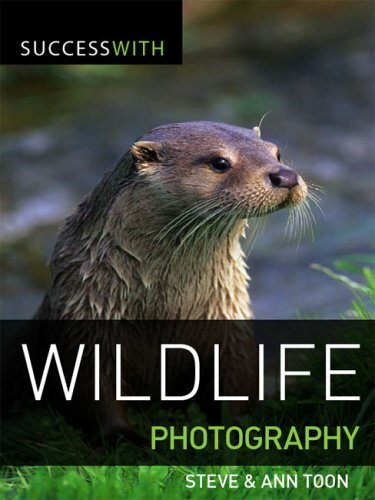 Loaded with hundreds of breathtaking images, this comprehensive textbook is perfect for the beginning wildlife photographer as well as the seasoned pro. Whether your subject is African wildlife or bird photography in the Arctic Circle, Uwe Skrzypczak's Wildlife Photography will teach you the fundamental concepts and techniques that can be applied to all forms of wildlife photography. Topics include: Equipment and accessories, planning your trip, conditions on the road, the right place at the right time, image composition, where to stay and daily routine, the light in east Africa, migrations and mating seasons, habitats and animal behavior, river crossings, the big cats, rhinos, giraffes, etc. Wow what a great book and unique to say the least!! 'Wildlife Photography: On Safari with your DSLR: Equipment, Techniques, Workflow' is a special book for people that is targeted at those going on safari or looking to get pictures of big game.Filled with over 200 pages of beautiful pictures of animals on the prowl, hunting prey, mating, playing, its all here! !Packed with advice on how to shoot (with the camera) the animals, and what you will expect when you go on safari, I absolutely love the content here.For anyone that wants to take photos of big animals this is an essential guide to better enjoy the experience!! Professional photographer and environmentalist Uwe Skrzypczak presents Wildlife Photography On Safari with Your DSLR: Equipment, Techniques, Workflow, a solid guide to the art of capturing vividly clear, unforgettable photographic images of natural wildlife. Wildlife Photography expressly focuses upon taking pictures of the wildlife of the Serengeti National Park of East Africa, yet the recommendations for adapting to the environment, learning about the habits of one's subjects, and adjusting one's preparations accordingly are vital to undertaking wildlife photography in any environment. Skrzypczak has specifically avoided drowning the reader in a sea of detailed information specific to every possible natural environment to instead concentrate on solid general principles and practices. "River crossings are difficult to photograph in bright sunlight... The combined factors of dust, haze, and the extremely high contrast produced by the foaming water make it impossible to rely on normal or automatic exposure metering. The best way to produce well-exposed images is to take test shots or to shoot bracketing sequences, secure in the knowledge that you can correct many exposure errors later at the post-processing stage." 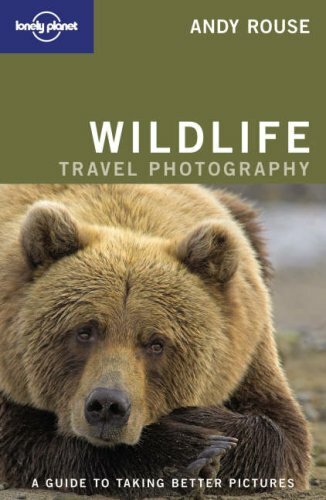 Highly recommended, especially for anyone serious about pursuing wildlife photography as either a hobby or a profession. Since our trip was already planned and I am an intermediate photographer, I could have done without the chapters on choosing equipment, planning your trip and basic shooting techniques. However, even within those chapters I found some useful information. There are chapters on photographing in different areas: Ngorongoro, Serengeti and Masai Mara. Even if you skip over his suggestions on where and when to go to these places, there is still plenty of great information on technique. I appreciated all the gorgeous photos complete with exif information. He even adds metering suggestions by each photo. Even if you aren't going to the same areas listed, most of the information can be applied to the setting you will encounter (unless you are in the jungle). Note, this is not a general wildlife book. If you are going to Africa you will certainly find it useful. If you are shooting elk and deer this is not the book for you. From George Lepp, one of today's top nature photographers, comes a very personal book that mixes engaging storytelling with technical know-how. Written with his wife Kathryn Vincent Lepp, Wildlife Photography describes the exciting, sometimes terrifying adventures behind their favorite wildlife images. Join Lepp on location as he follows lions on the hunt; documents the rise and fall of ocean tides in order to create the perfect shorebird picture, and climbs the mountains where high-altitude creatures dwell. 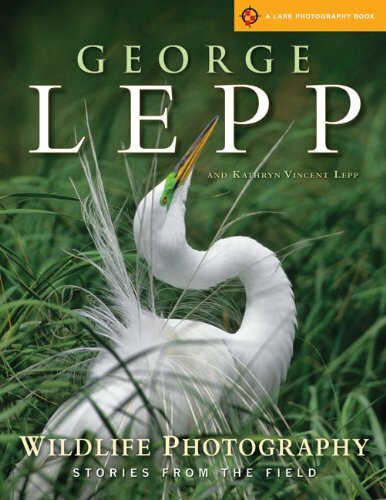 George and Kathryn Lepp's new book, "Wildlife Photography; Stories From The Field" is unique among photography books. It's not just another how-to book.There are more than enough books that explain the mechanics of how to take good photographs or how to process images in the digital darkroom (some of which George has written. )And there are lots of books that show a lot of pretty pictures from a certain place or of a certain subject.But there are precious few books that let you into the author/photographer's head so that you understand more of the factors surrounding the making of each image.The Lepps' new book offers a combination of insight into George's thinking as he made each shot as well as lots of tips for getting the shot just right. George opens the book by sharing some personal background. In his youth he hunted for sport until one fateful day when he had a life altering experience that led him to hunt with a camera instead of a gun.He points out the similarities and the tendency to go for trophies, as well as the fact that sometimes there's an even better shot and story with a less than perfect subject. Reading this book, I felt like I had George as my personal mentor sharing many of his personal experiences.Whether he was offering tidbits about how to get the best shot of a particular species, the challenges he encountered while making a particular shot, or more generalized comments relating to photography, I felt there was valuable technical information throughout the book.But to me the real value was feeling like I got to understand the man behind the beautiful photographs a bit better.This book is excellent for photographers as well as anyone who appreciates images of wildlife. I was delighted to learn George Lepp had written a new book. I just received a copy and have read it cover to cover. Unlike his other excellent books, Beyond the Basics I, Beyond the Basics II and his definitive book on the California poppy, this new work provides insight into the professional world of outdoor photography and takes readers on adventures to far-flung places that most of us only dream about photographing. Lepp writes for amateur and professional outdoor photographers who want to learn new techniques that will improve their images. Lepp's books are always designed for easy, interesting and enjoyable reading with his photographs generously used throughout to illustrate his concepts. George Lepp's wife, Kathy Vincent Lepp, co-author for the new book has added a new depth, sparkle and intimacy into the workings of George Lepp's work -- the work that has been on the covers of some of the world's best known publications. It's one thing to have a book with lots of pictures and descriptions of f-stops and ISO settings, but it is far more profound to have a book for photographers and lovers of photography that has given voice to the thinking and the experiences behind the photos. "Wildlife Photography, Stories From the Field" is not a nuts and bolts book about where to stand and how to set up a shot. It is about how to be a photographer. Its not about the mechanical tripping of the shutter, it's about the passion that drives Lepp to take the picture. Many people think a good photo is just a matter of "f-8 and being at the location, and gee, I could do that too." But it's far more as this book chronicles so well. Kathy Lepp has shared the trips with George. She has shared the experiences and has been part of the discussions about photographic ethics. She has experienced and been a partner to how the photos get made and under what circumstances. As a result she has been able to express Lepp's passion and concerns about his sense of place and his love of wild things -- places, animals, plants and the interaction between Lepp and his thousands of subjects. George Lepp is one of the most renowned outdoor photographers in America and is known for his outstanding ability to capture the wild, whether it is in the vast deserts of Africa, the ice fields of Antarctica or the mysterious magic of a snow flake. As a photographer, I have found George Lepp's techniques easy to use and have gotten fabulous results because of his advice. This new book is about his drive and philosophy -- his passion and knowledge, and sometimes the serendipity that can make a single good photograph, a masterpiece. I will be a better photographer as a result. George and Kathy Lepp have created a book that will be of great value to its readers. I highly recommend it, it is a joy to read. I found the book to be wonderful for both reading and reference. It has just the right balance of practical/technical information for me as a photographer and general context for my husband as an interested reader. You can read the book straight through, backwards, or just open up a random page and see and learn something new. And, of course, the images are superb. 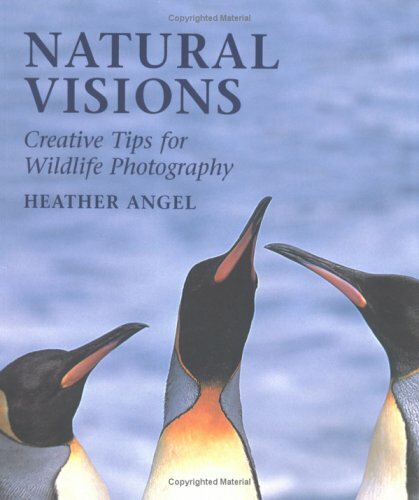 I would recommend the book as the ideal gift for someone who wants to improve their photography skills or who simply loves wildlife photos. This was my first book by Lepp.I've heard lots of great things about him.However, I was greatly disappointed in this book.At times it appears to be as much of an anti-hunting book as it is a book about wildlife photography. I thought the photography was, as usual for George Lepp, marvelous. The writing contributed well to the images. I wouldrecommend this book to anyone who loves nature and loves excellent photos of wildlife. 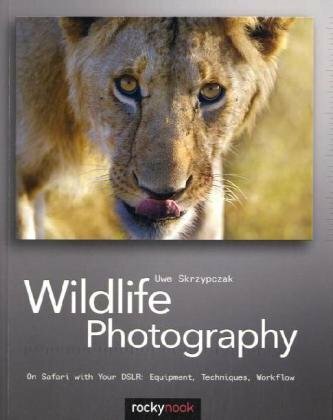 As a a fairly new digital photographer and new wildlife photographer I found this book to be very informative and also challenging too. I have used some of the techniques to capture a shot of a Magpie which I am very pleased with. I hope that in time I become as good as the authors. My aim in purchasing this book was to become a better photographer. And I agree totally that you need to know your subject and its habitat. As an ex game hunter there is something more rewarding "shooting an animal" and see it live than killing it. You have to agree completely with the basic thesis of "Dynamic Wildlife Photography".Readily available modern camera equipment makes it easy for anyone who cares to make a technically perfect picture of an animal.Advances in travel allow photographers to go anywhere to photograph even the rarest of animals.As a result viewers have become accustomed to seeing good wildlife pictures.As a further result, to get viewers' attentions, photographers have to go beyond merely documenting an animal. The authors suggest ways to accomplish this.Among other things they advise using unusual lighting and eye-catching composition, capturing behavior, and learning and using whatever is special about your subject.They advise incorporating weather into the your pictures and capturing the moods of animals, even at the risk of anthropomorphizing them.This book is all about composition. It's all good advice, but I have to confess, other than so clearly articulating the premise, there's nothing that hasn't appeared in other books on wildlife photography.Like the documentary pictures described by the authors, nothing separates this book from the crowd.I certainly had more fun reading Moose Peterson's "Guide to Wildlife Photography: Conventional and Digital Techniques" where his discussion of making pictures "pop" was similar to the Illg's ideas.I wondered if this book was meant primarily as a showcase for the authors' photographs.And while these pictures are attractive and interesting, I'm not sure that they all reached the level to which the authors aspire. 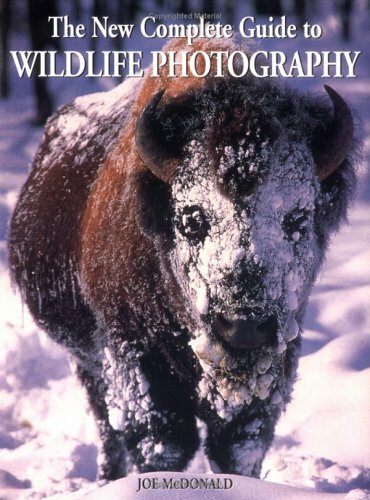 Joe McDonald's book covers a very wide range of wildlife photography. There are a lot of tips for the amateur but also a lot of info for serious photographers using professional equipment. The examples used to illustrate Joe's message are well chosen and also beautiful and inspiring to look at. It is difficult to imagine how you could get more or better material into a book of this size. Strongly recommended. A "must have" for the serious amatuer! Its a "must have" book for anybody wanting to explore wildlife photography as a hobby or professionally, and just a great, easy reading book.Ive owned my copy 6 months and have already read it 3 times! Its well explained so even people with a basic knowledge of photography can put many of his "lessons" into practical use.I cant wait for his next book! After reading several photo books, this was the one that finally let me take control of my camera and get away from all of the auto modes.The chapters on flash, for the first time, gave me an understanding of how flash works and how to manipulate it in both TTL and manual.Contains info on design and composition as well as approaching wildlife, but it was the exposure and flash info that made it an invaluable reference for me. ANDY ROUSE is renown for his noval and evocative images that convey the experience of getting up close and personal with some of the greatest and potentially most dangerous creatures in the world. I found this book very interesting and pleasant to read. It contains a few tips to apply in everyday wildlife and nature photography. Not only are the tips given, but also the reasons and mechanisms behind the tips. And, of course, the illustrations are great and encouraging! I recommend this book for intermediate and advanced amateur photographers. As the previous reviewer says, this may not add anything over other books, but I found it a good read. Lots of tips on what to bring, how to shoot, and how to look beyond the obvious shot and make something interesting. It's also small enough to squeeze into a bag and take it with you. Also has tips for digital and film photographers. My friend owns a copy and I'm thinking of getting my own. The photographs are fantastic and gave me plenty of ideas. The Essential Wildlife Photography Manual takes a spectacular photographic trip, from tropical rainforests to the polar extremes of the globe, revealing the myriad creatures and how to perfectly capture them. Chris Weston covers the basics--including essential information on transporting kit overseas--as well as understanding and photographing the best of wildlife subjects. His down-to-earth, practical approach consolidates a huge amount of technical information into easy-to-read, step-by-step chunks. Illustrated with world-class photography throughout, The Essential Wildlife Photography Manual boasts practical case studies from top international lights Art Wolfe, Jim Brandenburg, and Paul Harcourt-Davies, who reveal the secrets of their trade. This gives an insight into the world of professional wildlife photography, while thereÆs also essential information on working with biologists, zoologists, and researchers. Developing Animals compellingly investigates the way photography changed our perception of animals. Brower analyzes how photographers created new ideas about animals as they moved from taking pictures of taxidermic specimens in so-called natural settings to the emergence of practices such as camera hunting, which made it possible to capture images of creatures in the wild. 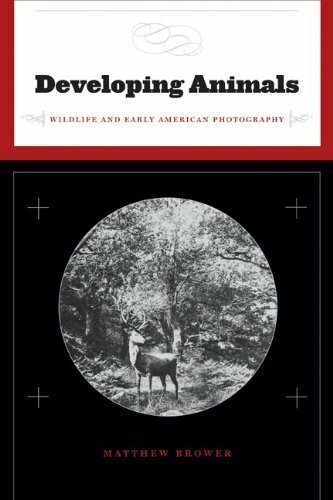 By combining approaches in visual cultural studies and the history of photography, Developing Animals goes further to argue that photography has been essential not only to the understanding of wildlife but also to the conceptual separation of humans and animals. No cutsey stuff here.Amazing, glorious, provacative. The straight forward, practical style of the 88 Secrets continues!No lengthy rehashing of confusing theories, just a clear, simple format.In particular, the explanation of exposure is one of the best I have read-direct, clear and practical.In addition, the points on composition are good reminders that can be easily forgotten during the excitement of the shoot.Furthermore, this book is a great resource for your personal practice sessions ( a time to practice technique to improve the craft). I am trying to understand why anyone wouldn't like this book? Then I realized, its a person who doesn't support the notion of photographing animals in zoos, game farms, parks, etc. Other than the crusaders who don't think we should have zoos, everyone else will enjoy this book. It's packed full of detail. The tips on exposure, equipment, lighting and metering offer some of the best explanations I have ever seen. I have been studying photography for three years now and bought this book to learn more about photographing animals. It gave me tips I could use at my local zoo with great effect. I saw an immediate improvement in my photos after reading 88 Secrets to Wildlife Photography. Ignore the crusaders and buy this book. It's affordable, easy to read and packed with lots of great secrets! If you want to get an idea of the types of animals that are available to photograph at the Triple D Game Farm, then buy this book. If you have hopes of learning anything from this book, pass it up. The only thing one learns from this book is that you wasted your money. Andy Rouse has gained a reputation for getting in close, really close, to his subjects, which range from lions and elephants in Africa to penguins in Antarctica, taking in a whole host of African, European, and North American wildlife on the way. The first part of his book, "Visions," presents the photographs, many never before published, which he feels were the landmarks in his career and in his development from a "one big shot" specialist to an artist who can capture the whole story of a species and its environment. Next, in "Expression," he discusses and illustrates the ideas and techniques that have enabled him to create a series of themed portfolios devoted to a single species or ecosystem, such as those he made in South Georgia and Antarctica. Finally, in "Inspiration," he turns to the work of other wildlife photographers who have inspired and influenced him. There is also an appendix with technical details of the individual photographs. For aspiring wildlife photographers, this book will be a motivation, showing just what can be achieved with skill, patience, and an extraordinary eye for the telling and dramatic shot, and it will also be treasured by wildlife enthusiasts. Beautiful photography from photographer Andy Rouse. 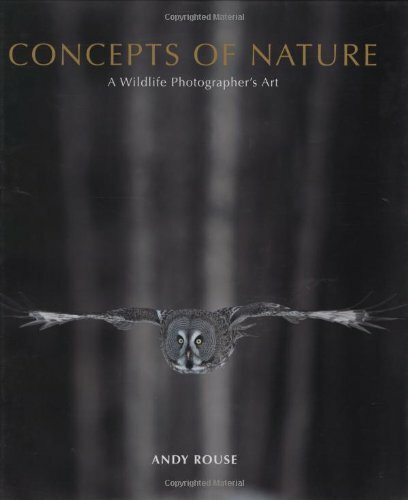 The Concepts of Nature: A Wildlife Photographers Art is wonderful book written from the personal experiences of Andy Rouse.A very personal look at how this photographer sees and photographs the world around him.Each beautiful photograph is accompanied by writing about the situation and the experience behind them. For someone with as much photographic talent as Andy Rouse, I was shocked by his lack of editing skills. Concepts of Nature is an inspiration for those aspiring to wildlife photography.The photographs illustrate what can be achieved with skill, patience and an eye for the dramatic.Rouse gets close his subjects.Lions, elephants in Africa, penguins in Antarctica and birds in flight:the resulting shots reveal a passion for the light.His portraits create a sense of awe and wonder.They tell a story; they depict a scene. 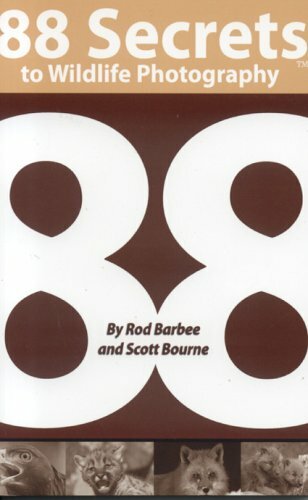 Unfortunately the copy that accompanies the photographs lacks editing.Numerous spelling and grammatical errors detract from the book's impact.If I were rating the book on its verse alone, it would rate a "1" or a "2." It is divided into three parts.First, "Visions," photographs, that Rouse believes feels are the landmarks of his career. Next, in "Expression," he illustrates the techniques that enable him to create themed portfolios devoted to a single species or ecosystem.Finally, in "Inspiration," he turns to the work of other wildlife, photographers who have inspired and influenced him. If you aspire to capturing striking wildlife photographs, this is a book you have to view.Just don't plan to read it.The unedited copy fails to do justice to Andy Rouse's prodigious photographic eye. More than 120 stunning images from the 2009 Wildlife Photographer of the Year Competition are gathered in this astounding compilation. The winning and commended photographs, each selected by an international panel of expert judges, are all included, and together these images cover a wide range of subjects and a diverse portfolio of styles. The photos include nature abstracts, depictions of animal behavior, and environmental reportage, and each image celebrates the splendor, drama, and variety of life on earth. The photographs are also accompanied by memorable captions that tell the story of how and why each shot was taken. I have been collecting these yearly albums almost since the series started, and have more than half on my shelf. They never fail to move and to impress. As a former part-time wildlife photographer myself, and today a hobbyist, I can only stand back in awe at the quality of some of this work. The style has altered over the years. Reviewing Portfolio 20 yesterday I drew attention to the use of monochrome, impressionism and movement blur. Looking over 19 today for this review reminds me that the trend had already started beforehand. There is one lovely two-page spread entitled "a settling of Bramblings" which defeats all the naive presumptions about how a bird photograph should appear - a seething mass of tiny bodies punctuated by the streaks of their passing companions. Another high-key monochrome shot of a fairy tern in flight almost washes out the white-on-white detail to provide a light, almost ghostly effect. Two bird shots show only graphic silhouettes, while a monochrome picture of Baboons reveals only the brightly backlit outline of the animals. My favourite, and one of the most striking pictures I have ever seen, is Alexander Safonov's "The plunge diver", an underwater shot of a gannet "flying" through the water before a sardine shoal. It was shot with a Nikon D300, which happens also to be my own camera, so I suspect some subtle post-processing. The picture is stunningly clear and almost monochrome, like a split-tone print back in the halcyon days of steam-powered cameras. Quite the most graphic action shot I have seen in recent years, at least until the next Portfolio turned up! In a way, it seems to me that digital photography has taken wildlife work back to the days of the daguerreotype and the pot of toxic toners, but without the fumes, so that the photograph is once again a complete work of art rather than a balancing act trying to fit the entire concept into 1/30sec illumination of a transparency. This, at least, is the approach I try to bring to photography these days, and I see indications that these photographers sometimes think the same way. Unfortunately, this year's competition was accompanied by some controversy, as the winning picture was stripped of its prize after it emerged that the wolf in question was tame. I am not sure how I feel about this. It is certainly a breach of the rules, but as a nature photographer I am not sure that I believe that these rules are appropriate. Very few shots of wild animals can be acquired without bait or camera traps, and even the most straightforward of flower photos will require some "gardening" in the way of pushing intruding grass aside. For me, the art is in the picture and I am no stranger to Photoshop and the Gimp, but there is a realism "ethic" at work in nature photography which dictates, in effect, that the photographer must be absent. I struggle with this sometimes. At any rate, such events are exceptionally rare in this competition and the results are still astonishing, so perhaps I quibble in vain. The work in these competitions goes from strength to strength. Whether you wish to master the art and science of photography or merely love nature, these books richly reward every turn of the page. If you want to do wildlife photography, I would almost say they are a necessity. If you do not, they will still grace your coffee table like few other books. 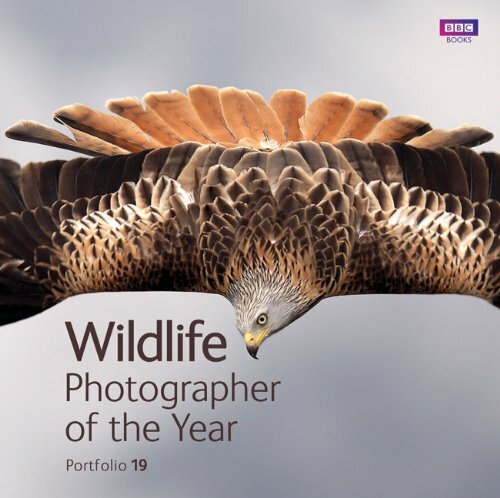 Each year BBC Wildlife Magazine and the Natural History Museum (located in London) sponsor a competition for the "Wildlife Photographer of the Year". Entries come from around the globe and the entrants include some of the foremost professionals in the business of wildlife photography, as well as many of the top non-professionals. Over forty thousand entries were submitted for the 2009 contest and 90 pictures made the final volume of winners, runners-up, and highly commended and commended pictures. The contest is divided into almost a dozen categories from bird behavior to the underwater world. Finding a place as a finalist in the competition is one of the highest awards a wildlife photographer can achieve. Each picture is accompanied by a short description of the conditions under which the photograph was made, together with equipment and shooting data. The pictures are all artful and I'm certain anyone would be pleased to have one of these pictures hanging on a wall. But there's the rub. Books of pictures taken by a single artist or by multiple artists of a single subject have a synergistic effect that help us learn more about the artists work, or the subject. In the "Wildlife Photographer of the Year" annual portfolio each picture stands by itself, to be admired or learned from within the four corners of the individual image. Thankfully there is much to admire in each of these pictures. My own favorite picture shows a flock of magpies, some landed and other coming in to land. The photograph seems to be taken from a camera on the ground and has that relationship of foreground to background that only a wide angle lens can give. We learn that the picture was taken with a 14-24mm lens fired by an infrared release. It was inspiring to me to know that beautiful bird pictures could be taken with a lens length other than 600mm. Wildlife photographers owe it to themselves to examine at least one of the BBC Wildlife "Photographer of the Year Portfolios" to serve as inspiration by showing what can be achieved, just as wildlife lovers should view aspects of nature that they will probably never encounter on their own. A professional course in digital nature photography. 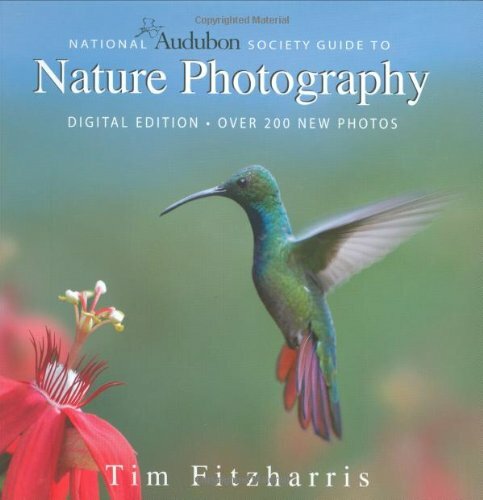 National Audubon Society Guide to Nature Photography is a comprehensive reference and inspiring guide to taking outstanding photographs of the great outdoors. Renowned photographer Tim Fitzharris shares his foolproof techniques, emphasizing digital photography field procedures for a wide variety of nature shots. Preparing digital captures for publication. Packed with tips and strategies, this outstanding guide is ideal for beginners, advanced amateurs and professionals. The information is presented in a conversational style and accompanied by hundreds of stunning examples of the author's photographs. 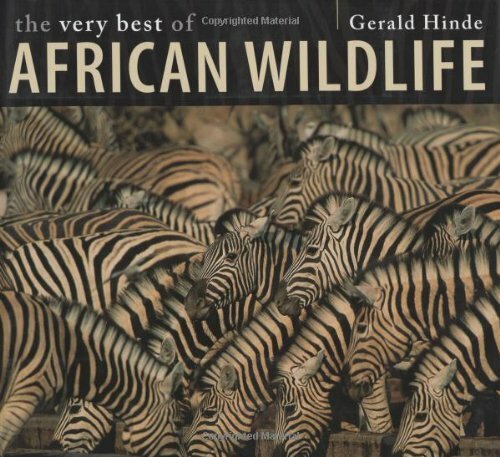 A friend gave me this book before our safari to Tanzania.It was absolutely fabulous in helping me make the most of my DSLR, which I had recently purchased.We got great shots in Africa, thanks in good part to this book. I have since given several copies to friends and family.If you are serious about taking good nature photos, buy this book! I'm currently re-reading it and gleaning additional tips and info. I like the way this book is organized and how specific Tim is about capturing shots similar the ones he uses as examples. He gives practical advice about subject matter and about equipment. His style is direct and unassuming - like he's saying, "Here's what I do and I get great photos. Until you have a LOT more experience, these techniques will serve you well. "In each section he discusses the topic in detail and then provides a summation that's easier to remember. Examples are: getting the right depth of field, getting maximum sharpness in landscapes, and which shutter speed to select for photographing different birds. There are plenty of fine quality examples that directly illustrate the points of each section. This book is not what I expected (I expected just pretty pictures and a couple camera settings at best) but has turned out to be something I've gone back to many times. I liked his perspective of capturing the best image you can which requires you to know your subject, when light is good and bad, and not worrying too much about your specific gear. Update 1/25/10 - Since I read this book, I've read several other books by Tim Fitzharris. They're all pretty similar in format but with pictures appropriate to the topic. Each book pretty much covers the same ground technically. One thing I found interesting is the equipment recommendations change over the years the books were written. This book has the most up-to-date recommendations for digital camera users. I still would strongly recommend this book - or others by Tim Fitzharris - especially the national parks books if you're planning a trip. I bought this book knowing that Tim Fitzharris is one of the masters of outdoor photography. I was hoping that he would share some 'hands on' specialised techniques. Instead, I got a guide full of lovely photos and general lines on photography. But this is unfair to all the photographers of this world. I am sure that there are thousands of photographers out there that know the rule of thirds and don't want to hear it again. Or they know what a tele- or wide angle lens does. And in the digital era there is no need for a full chapter on how to achieve a good exposure. There are thousands of photographers that want to hear something more technical and specialised. The use of a floating hide is mentioned a lot, but only this, there is nothing on the construction and use of one. There are no specialised flash techniques, the use of artificial light seems to be something that the author detests. No photo traps either, not a word on how nocturnal birds and bats are photographed. The use of split neutral-density filters is standard, but again, he declares that he doesn't use the comercial filter-holders and stick the filters with gaffer tape. But he doesnt explain hoe he puts multiple filters in different angles. As for the 'digital edition', there are only few general pages at the end with the most basic of information. If you are one of the photographers that have past the basic level this is not a book for you. I am relatively new to nature photography and this book has helped so much already.Not only is there the usual technical camera settings and lighting advice, but very helpful advice on what to carry in the field, what kind of tripod to get, how to camouflage your lens, etc.He even tells you the place, time of year and time of day to get the pictures he got. So much helpful and interesting info. And the pictures are stunning.From beginners to pros, I'd rate this book a must have.It has become my favorite. Advise from an expert Nature Photographer! Art Morris should pay me to read this book. It is poorly written. The skills are outdated as well. Spend your money and time on a book by a real professional writer and photographer! This is clearly the best book on photographic techniques I have read.And, I have read a lot.The section on exposure is a must read. 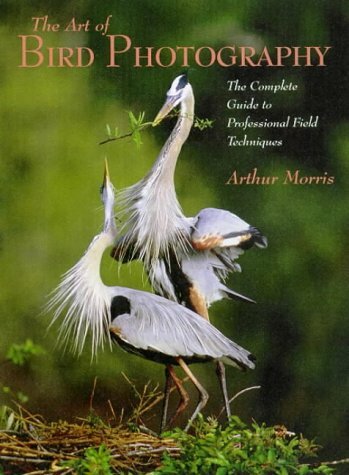 I've read reviews that describe this book as being "outdated" because it deals in film photography and "biased" toward Canon equipment because that is what Morris shoots with and knows best, but...it remains an excellent resource that goes way beyond whatever "hardware" a photographer uses.Morris shares his abundant knowledge about what makes a great bird photograph and how to get there including not only equipment choice, but exposure, lighting, composition, field techniques for getting close to the birds and capturing them in action.The information is pertinent not only to those who shoot film with a Canon but anyone who really wants to improve the results s/he is getting currently photographing birds.He is a master and for anyone willing to learn, he provides excellent time-tested information about what he has learned over the years: all in a very readable format.One need just look at his bird photos to see he knows of what he speaks.It is a real shame that this book is out of print.I have seen it go on Ebay for over $100.00, I fortunately found it here on Amazon for a more reasonable price.There is an update available on Morris' website www.birdsasart.com although it is in CD form only, not in print. I do not have it (yet) so cannot comment. The right stuff for bird photography. Collected in this stunning volume are more than 120 beautiful images of nature taken from the 2008 Wildlife Photographer of the Year competition, the most prestigious event of its kind. An international panel of expert judges selects the top photographs each year from more than 35,000 entries, and all of the winning and commended images are beautifully reproduced in this portfolio. The subjects and styles are diverse, ranging from abstract nature images to portraits of animal behavior and environmental reportage. 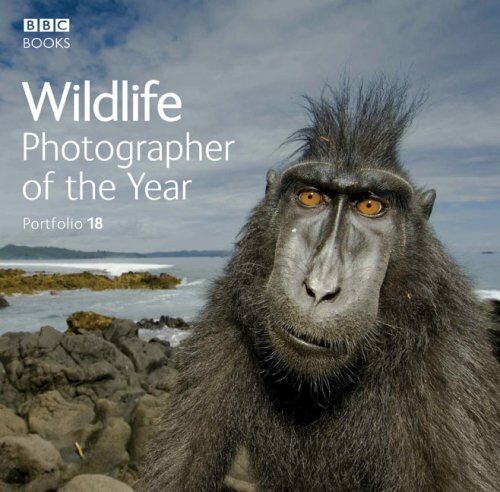 I've purchased several of these BBC Wildlife Photographer of the Year Portfolios over the past several years, I would say the overall quality of the images in this particular volume is relatively weak. Some fine images to be sure, but there are few in this edition that really jump off the page. I'm a wildlife and nature photographer myself, and been somewhat successful on a small scale, and I do spend a great deal of my non-shooting time looking at this type of photography, and feel I have a somewhat disciplined evaluation ability, and am suprized at the number of images in this book that are little more then average. The series is a fantastic series of books on nature photography but this edition is at best weak. Choose another volume before purchasing this one.